Print out from a scientific machine of some sort, something medical I believe. Suspected fibrin particles in sample or inadequate sample volume in pipette or pipette not in place. Recentifruge sample and analyze immediately afterwards. 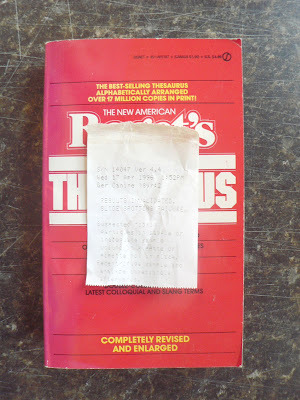 Found in "Rogets College Thesaurus in Dictionary Form" published by Signet, 1985.